And no, it's not Legend's impressive pipes. 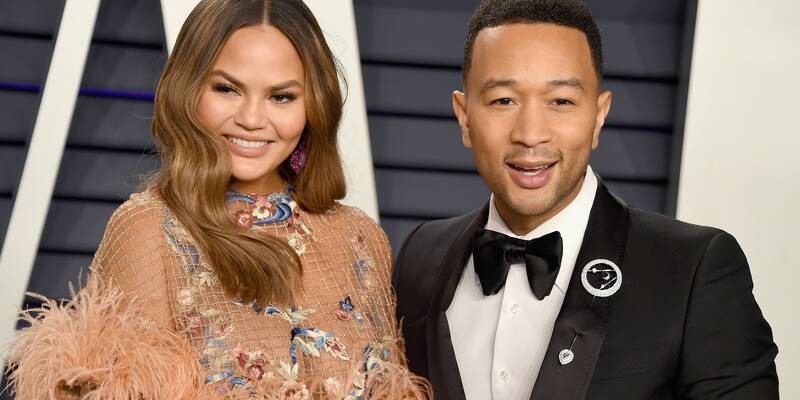 Earlier this month, Chrissy Teigen and John Legend celebrated their fourth wedding anniversary together, and it sounds like there's many more on the way for our everyone's favorite celebrity couple. Teigen just revealed why she'll never, ever leave her hubby. And no, it's not because of his impressive pipes or their shared sense of humor. (Although we're sure those are definite pluses!) In fact, we never would've guessed Teigen's not-exactly-romantic reason. We know, we know…by now, we should probably just expect the unexpected from Teigen (remember that NSFW tweet she publicly posted for Legend?). But the supermodel/cookbook author/Twitter Queen always manages to catch us by surprise! "I try to deprecate him because he’s so perfect," Teigen told Us Weekly of her hubs. "I got very, very lucky." "I don’t know who else could put up with all the s—t we are constantly dealing with," she said. "Kids, friends and work are hard, but John is the easiest part of everything." So of course these two cuties are going to be together forever—obviously! Why? "I told him the number one reason we are not getting divorced is because I refuse to see another woman with my baby," said Teigen. Okay, so clearly that's not the only reason! (Teigen just loves to tease!) But all jokes aside, Teigen has to credit the strength of her and Legend's rock-solid relationship, made clear during her struggle with postpartum depression after the birth of their daughter Luna. “I lost all interest in everything,” said Teigen. “It’s a struggle to be a good partner and help," Legend himself explained to the entertainment mag. "I think the key for us was finally understanding what was happening and getting help." Now, this power couple is ready to expand their adorable family, with Teigen telling Us that they'll be adding to their fam "soon." "How would I not want to expand my family with this beautiful person?" she said. "He’s just everything."